This week, Science for The People is peering out into the black to learn about deepest space, and our own night sky. They talk to Bad Astronomer Phil Plait, about recent measurements of gravity waves, and what they tell us about the birth of the Universe. 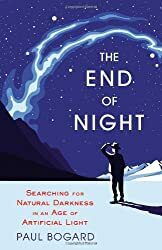 They also speak to journalist and essayist Paul Bogard about his book “The End of Night: Searching for Natural Darkness in an Age of Artificial Light.” And Noisy Astronomer Nicole Gugliucci tells them about a project using citizen science to map the surface of the moon. This entry was posted in Items of Interest and tagged Astronomy, science for the people. Bookmark the permalink.